Welcome to Novofemina. 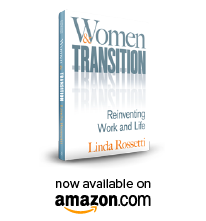 I am thrilled you’ve taken the time to explore our discussion about women’s transitions. We’ve had plenty to talk about since our inception in April 2011. Please join our discussion by commenting on what you read or by registering for our weekly email alerts. I’d love to have your voice as part of our conversation. For 1st time visitors we’ve pulled together a selection of our posts on the list below. We hope that you enjoy this overview. We are in the process of creating a directory of posts that will make it easier to find posts related to topics like, ‘starting your transition’ or ‘searching for a new role.’ Let us know what topics would be most useful to you. Simply use the comment space below. Welcome once again to Novofemina.com! The Question Our first post! Summer Book Review Finale: Learnings? Curiosity and Transition: Are these related? Transition and Steve Jobs: Shared Learnings? Copyright © 2011-2018 NovoFemina.com – All rights reserved. No content on this site may be reused in any fashion without written permission from NovoFemina.com. Linda, thanks for a very inspirational and motivational presentation to kick off reunion weekend! Your comments have stuck with me and I will be sharing them with my daughter who is entering high school next year – I think they have application to all parts of our lives, not just work and career ( # 8 Integration!). Thank you for hosting the networking mash-up. It was a wonderful event which I hope is repeated. Wow !!!! such inspiration , i loved this blog…. Thank you for your kind words! Welcome! Linda R.
Thank you, Linda, for an outstanding session today involving LinkedIn, addressing the gap in interviews and overcoming barriers. I left feeling excited about helping others as well as reinvigorated about my own search. Thanks for the feedback Courtney. Great to work with you this morning at the Winchester Public Library!